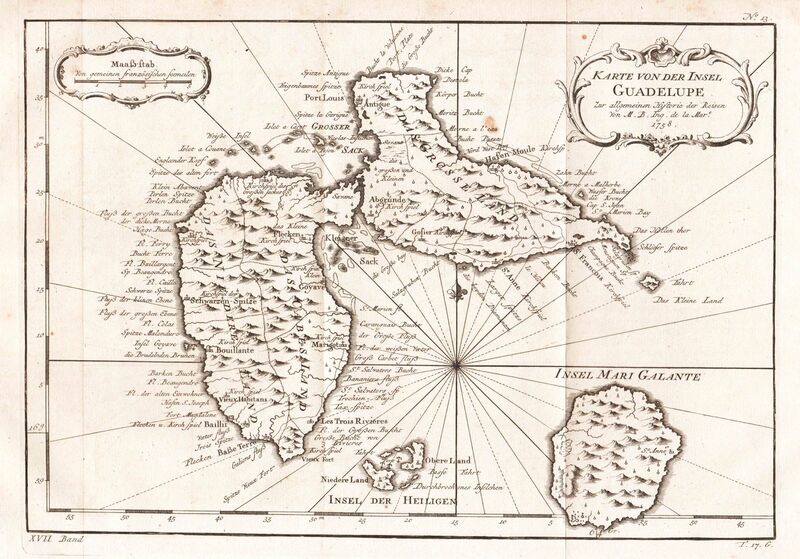 The prolific French cartographer Bellin's elegant and highly detailed map of Guadeloupe for Prevost's influential Histoire Générale des Voyages. The map encompasses Marie Galante and All Saints islands and includes many place names as well as a delightful scroll and acanthus cartouche. This exemplar, a strong dark impression, beautifully preserved, is from the scarcer German edition of Prevost's work. Size: 12 3/8" x 8 1/8"